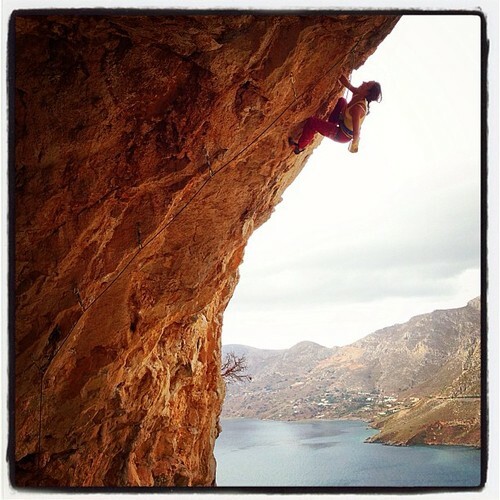 JW ropes up in Kalymnos! This year we thought about traveling to the US, but then friends told us about Kalymnos and its beauty. So we decided to fly to Greece for two weeks – and I tell you: Kalymnos is a worthy trip!! On the 25th of October we flew to Kos. From there we had to take a boat to get to the next island, Kalymnos. We arrived at our hotel (Drosia in Masouri) at noon, bought a guidebook and went to the crag! The first day we went to the afternoon sector (just next to Grande Grotta) and climbed some easy routes. Read more at >> Juliane’s Tumblr.